Five Tiger Woods Collectibles Serious Golf Fans Should Own! It’s hard to dispute that once again, Tiger Woods is the best golfer on tour. With four victories now in 2013, including winning at The Players Championship, Tiger Woods is back at the top of his game. And collectors are taking notice, looking to score significant collectibles of this fairway legend. And because Tiger Woods is an exclusive spokesman for Upper Deck, we are pleased to provide fans with the world’s greatest memorabilia and trading cards of the world’s greatest golfer. 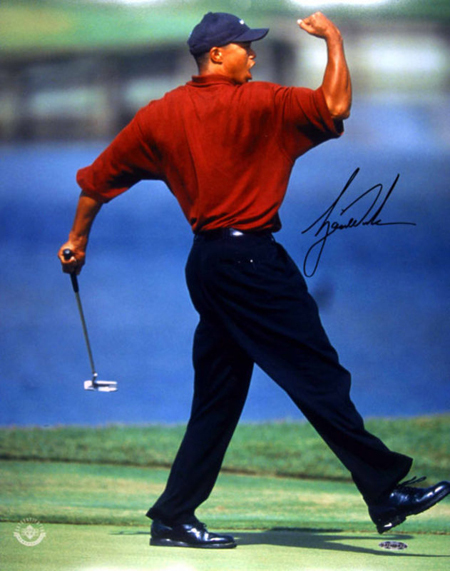 UDA creates a variety of signed photos of Tiger Woods that are the perfect brag collectible for golf fans. There are unsigned versions for those who are just getting started, but the serious collector will have a signed photo in their collections. 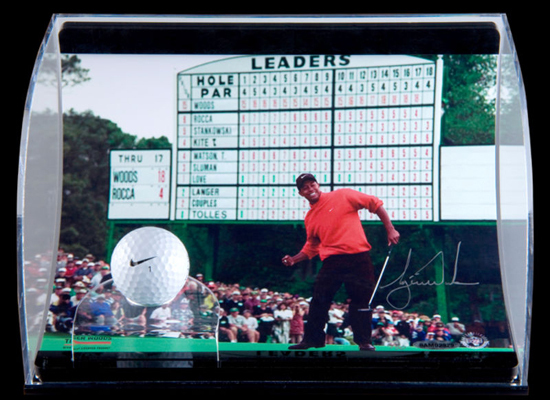 UDA has created a variety of Tiger Woods Autograph Curve Displays over the year, but they are all limited-editions and very unique. They look great in an office, home or man-cave and these attractive collectibles always seem to stop golf fans in their tracks. Some include actual range driven golf balls hit by Tiger himself! 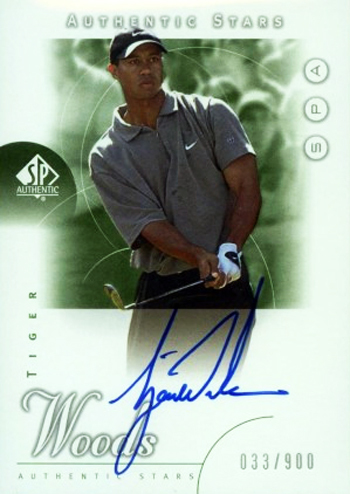 Most every collector has at least one 2001 Upper Deck Golf #1 Tiger Woods rookie card in their collection, but the crème de la crème of rookie cards for Tiger is his 2001 SP Authentic Autograph Rookie card. There are just 900 available and the price these days continues to climb. This truly is an investment type of collectible for the serious golf fan. Nothing strikes fear in golfers like seeing Tiger Woods wearing red on Sunday. Now golf fans can own a Tiger Woods Sunday Red Signed Nike Polo exclusively from Upper Deck and have an absolute show stopper hanging on their wall. This amazing collectible is on the “must have” gift list for many dads and grads this time of year. 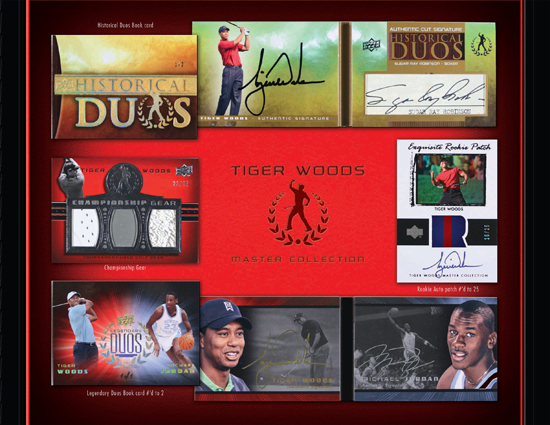 When it comes to the best collectibles of Tiger Woods, nothing beats Upper Deck’s Tiger Woods Master Collection set. Limited to just 200 total sets, this super-premium collectible features a bevy of high-end Tiger Woods trading cards that are sure to make you the envy of every golf fan in your life.